A repair product is typically used for fixing a cracked or damaged screed. If you need any advice on how to repair a cracked screed, contact our technical team, they would be happy to assist and offer advice. Mapei provide a full range of repair products for different applications and specific requirements. Some of the products within the range are as follows, EPOJET LV, LAMPOCEM, MAPECURE SRA, MAPEFER, MAPEFER 1K, MAPEFILL GP MAPEFILL R, MAPEGROUT EASY FLOW, Mapegrout Hi-Flow, MAPEGROUT SV and many more from the Mapei range. Sika provide a full range of pure cement based products, cementitious, polymer-modified repair mortars and epoxy based repair materials for different repair works and specific requirements. ARDEX repair mortars are essential products for the professional tradesman, allowing the rapid repair of levelling and smoothing compounds, concrete and renders. ARDEX repair products which we sell are: Ardex Feather Finish, Ardex Ardurapid A 45, Ardex A 46, and Ardex A 950. 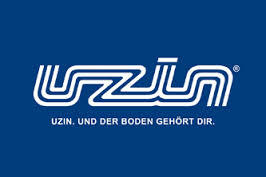 UZIN offers a range of products for all your flooring requirements, from low emission and eco-friendly products to switchTec® adhesive technology for quick refurbishments. We also provide a selection of products which can be used on 90% of all flooring installation. Tekcem offer solutions to problems – one such solution is Screedfix. A unique crack repair product for fixing cracks in screeds. This is offered exclusively through Tekfloor. Also available is Tekcem Fibre 550 for the use in repairing screeds. The Ronacrete Concrete Repair and Coatings Range comprises of Repair Mortars, Levelling Coats and Coatings. The Repair Mortars category is made up from a selection of polymer repair mortars, high build / lightweight repair mortars and a flowable concrete repair product. We sell the following products: Ronafix Concrete Repair Mortar, Ronacrete Epoxy Floor Mortar Repair and more! Parex Ltd is a key manufacturer of a broad range of specialist mortars, anchors, highways products, hard landscaping mortars, advanced renders and repair materials used in construction, refurbishment and civil engineering. Parex offer a large variety of repair products including Parex Highway C2, Parax High Build Mortar, Parex Mortar Fine and Parex Tecroc Speedcrete. We also have many more Parex products available. Tarmac is committed to innovation. They offer a range of screed products developed to meet most demands. We supply Tarmac Pozament Patchfill and many more Tarmac products.